What are the most popular online bachelor's degrees offered in Montana? Montana is one of 14 member states belonging to the Western Interstate Commission for Higher Education (WICHE), an organization dedicated to sharing resources among the higher education systems in the western United States. WICHE's student exchange program gives learners at all levels -- undergraduate, graduate, and professional -- the ability to request reduced tuition rates at participating college programs outside their home states. WICHE estimates Montana families saved nearly $8 million in the most recent academic year by enrolling through these interstate exchange programs. Several institutions even offer complete online degrees at the tuition reduced rates. Students also benefit from the state's higher education consortium, established by the Montana Comprehensive System of Personnel Development (CSPD). The consortium encourages the exchange of ideas and professional development through the state's teacher training and educational leadership programs, with a goal to create a more seamless education system within the state. A total of 15 colleges and universities are represented in the consortium. Research from the Bureau of Business and Economic Research at the University of Montana-Missoula supports the efficiency of online learning when earning a college degree. Online colleges in Montana offer students the flexibility to learn at their own pace, on their own schedule, and without the need to commute or live on campus. Montana State University offers one of the top online colleges in Montana, with robust programs and student services that allow individuals to pursue several graduate degrees and graduate certifications, along with a bachelor's degree in liberal studies. The university, located in Bozeman, requires a 2.5 high school grade point average (GPA) for admission to its undergraduate program, while most of its master's degrees require a combined GRE score of 300 or greater and a demonstrated potential to be successful at the graduate level. These students must also have achieved an undergraduate GPA of 3.0 or better, and some programs call for letters of recommendation and admission essays. The university has a separate tuition schedule for online-only graduate and undergraduate students, updated on a yearly basis. There is also a tuition installment payment plan for eligible applicants who cannot make full payment of each semester's tuition on the regular payment due date. The University of Montana offers seven academic programs completely online, including five master's degree, one bachelor's degree, and one associate degree. Additionally, the university offers online minors in anthropology and communication studies, along with RevUp programs that provide vocational training for students looking for good-paying jobs in a variety of fields. There are also online certificate programs on subjects like customer relations, forensic studies, and nonprofit administration. Admission requirements depend on the program. The university's master's of education programs, for example, require students to have an undergraduate grade point average of 3.0 or higher, along with three letters of recommendation and a written letter of intent. The University of Montana online colleges and programs accept transfer credits from any students who have graduated from high school or earned a graduate equivalency degree (GED), and who have also attempted at least 12 college-level credits. Located in Dillon, MT -- and situated near Yellowstone, Glacier, and Teton national parks -- the University of Montana - Western is one of the top online programs schools in Montana. Students take one class at a time, and the small class sizes mean they receive more opportunities to interact with faculty. The university also promotes a focused and individualized learning environment to help students get the most out of their education. A variety of majors are available, including in education, fine arts, biology, English, equine studies, and environmental sciences. Courses are taught by expert instructors with real-world experience round out their teaching style. Programs are interactive, and feature less lecture time in favor of more research projects, group activities, and assignments. Incoming freshmen must have a minimum high school GPA of 2.5, provide their ACT or SAT scores, complete an admissions application, prerequisites, and rank in the top half of their high school graduating class. Montana Tech of the University of Montana, located in Butte, prepares graduates for successful careers by providing the latest technologies and expert instructors. The university offers online undergraduate programs in health care informatics technology, restoration, and nursing completion post-licensure. Online students have access to all on-campus resources and offices including career services, the business office, the library, and financial aid offices. The university boasts affordable tuition and provides many different financial aid opportunities to students including scholarships, grants, student loans, and work-study programs. Online courses are delivered asynchronously, which allows students to complete their coursework at their own pace at any location. MTech uses Moodle as its online learning platform and technical support is available. Online students have access to virtual mentors to assist them with their coursework. Montana State University-Northern has distinguished itself as being among the best online colleges in Montana. The university has nine degree programs available online, including two associate, six bachelor's, and one master's program. Majors and concentrations cover everything from business administration and community leadership to nursing and criminal justice. The online RN to BSN is a degree completion program designed for registered nurses to earn their bachelor's degree. In fitting with the school's mission, the other online programs prepare students for new careers or help them advance in their current roles. Online courses are delivered through the Desire2Learn platform, a resource for which is available to help students prepare for their online education. Online students, whether residential or out-of-state, pay about $50 extra per credit for their online classes. Our affordability methodology considers value-driven metrics and ranks schools that have low tuition rates, as well as proven graduation rates and employment outcomes that provide a high ROI for students. For students in Montana, there are plenty of opportunities to find an affordable program locally. While distance education provides more flexibility than an exclusively residential curriculum, there are still plenty of advantages to attending a local online college, including access to lower tuition prices and local scholarships. If you're considering going back to school, and are thinking about studying online, the following list of cheap accredited online colleges in Montana will help you start your search. Montana State University-Billings reaches distance learners across the nation through the school’s 25 online undergraduate, graduate, and certificate programs. MSUB delivers online coursework synchronously and asynchronously, depending on the program. Out-of-state students pay a higher tuition than Montana residents, but the school's nonresident tuition is still remarkably low, earning the school a deserved place among the most affordable online colleges in Montana. MSUB accepts credits from all accredited university programs. Non-resident transfer students must have completed at least 12 credits with a 2.0 GPA and must be in good standing at their previous school. The University of Montana is located in Missoula. Online offerings include certificate, endorsement, undergraduate, and graduate programs. Master's programs include curriculum studies, educational leadership, music education, and public administration. UM's programs primarily utilize asynchronous learning. Hybrid learning formats are also available. Online, out-of-state students pay a slightly higher tuition than Montana residents, but the school is still one of the most affordable online colleges in Montana. Distance learners are eligible for many scholarship opportunities. All transfer students must have earned a 2.0 GPA at their previous college to be considered for admission. Montana State University, the largest college in the state, offers 13 online programs, which includes certificates, graduate degrees, and a single undergraduate completion program in liberal studies. Graduate programs include addiction counseling, nursing education, and school library media. The Bozeman-based school primarily delivers online coursework in an asynchronous format through the Brightspace (Desire2Learn) platform. The school offers online-only, per-credit tuition rates. In-state learners pay a slightly lower tuition rate, making Montana State one of the most affordable online colleges in Montana. MSU welcomes transfer students who have earned a minimum GPA of 2.0 at past colleges. Located in Havre, Montana State University-Northern’s Extended University offers nine fully online programs, in addition to a general education core. MSUN delivers online coursework asynchronously through the Desire2Learn platform. Freshman applicants must meet one of four requirements: a minimum 2.5 high school GPA, at least a 20 on the ACT, a 1440 on the SAT, or placement in the top half of their high school class. All transfer applicants must have earned a minimum 2.0 GPA at their previous school over at least 12 college-level credits. Online, out-of-state students pay a higher tuition rate than in-state learners, but the school offers many scholarship opportunities, ensuring that the school remains among the most affordable online colleges in Montana. Unlike many colleges in Montana, the University of Providence is not a part of the University of Montana system. The Roman Catholic-affiliated, Great Falls-based school recently changed its name (formerly the University of Great Falls) in July 2017. Providence offers 15 online programs, including undergraduate and graduate degrees and certificates. The school offers synchronous programs through Blackboard and asynchronous programs through Moodle. Al distance learners pay the same per-credit tuition rate, which makes Providence one of the most affordable online colleges in Montana. There are no minimum GPA requirements for admission, but freshman and transfer applicants should submit all of their prior transcripts. For many students living in remote quarters of the state, attending a traditional, brick-and-mortar campus is simply not a viable option. Montana institutions offering online learning have created programs with this in mind. In 2012, 3,410 Montana students completed their education entirely through distance learning. Programs are known for offering not only accredited degrees, but also an extensive range of support services to ensure students get the most out of distance education. Prospective students concerned about financing their education should note that the average in-state tuition for Montana from 2012-2013 was $6,267, which was below the national average of $8,070. The state of Montana currently allocates $226,961,354 to public postsecondary education. 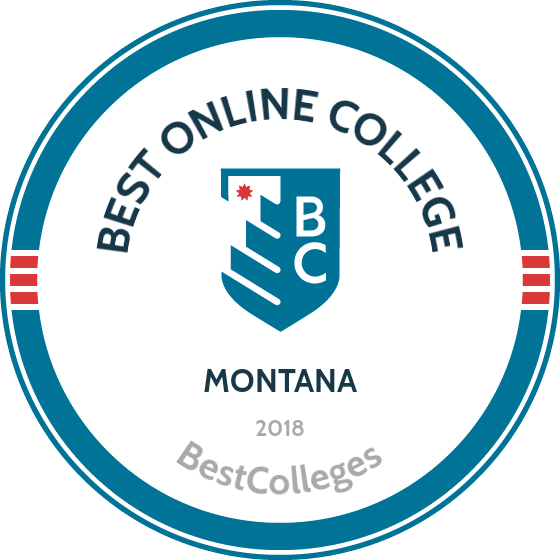 Browse our list of the best online colleges in Montana for more insight into distance learning programs in this state. Nearly 5% of degree-seeking students completed their degrees exclusively online. Over 15% took at least one online course. 3% took an online class as part of their coursework. Employment growth in this profession is strong in Montana. According to the Montana Department of Labor & Industry, long term projections show an increase of 26% in the total number of jobs between 2014 and 2024. Wages increased by 6% from 2011-2016. In 2016, what were the top careers in Montana for people who had a degree in registered nursing? Data source: Montana Department of Labor & Industry, Bureau of Labor Statistics. Data may not be available for every year. Employment growth in this profession is moderate in Montana. According to the Montana Department of Labor & Industry, long term projections show no increase in the total number of jobs between 2014 and 2024. Wages decreased by 2% from 2011-2016. In 2016, what were the top careers in Montana for people who had a degree in land use planning and management/development? No schools in Montana currently offer an online bachelor's degree program in land use planning and management/development. Employment growth in this profession is strong in Montana. According to the Montana Department of Labor & Industry, long term projections show an increase of 33% in the total number of jobs between 2014 and 2024. Wages increased by 13% from 2011-2016. In 2016, what were the top careers in Montana for people who had a degree in mass communication/media studies? Employment growth in this profession is strong in Montana. According to the Montana Department of Labor & Industry, long term projections show an increase of 21% in the total number of jobs between 2014 and 2024. Wages increased by 11% from 2011-2016. In 2016, what were the top careers in Montana for people who had a degree in business/commerce?